Thanks for the tutorial. Your baskets are wonderful. I have shared a link in my Facebook page, Away With The Fairies. Hope that's OK? Thank you so much Tilly! I'm a follower of your FB page. We need more fairy stuff in the world. Love these...can't wait to try it! Thank you! Had a look at all your beautiful Fairy stuff on Etsy. Love your work! Brilliant! Thank you very much for the great instructions! I'm definitely going to make some of these! Thank you. Even after several years, I like to make a few at Easter. Such fun little things to give away. Thank you for liking them! I hope that you will make some too. 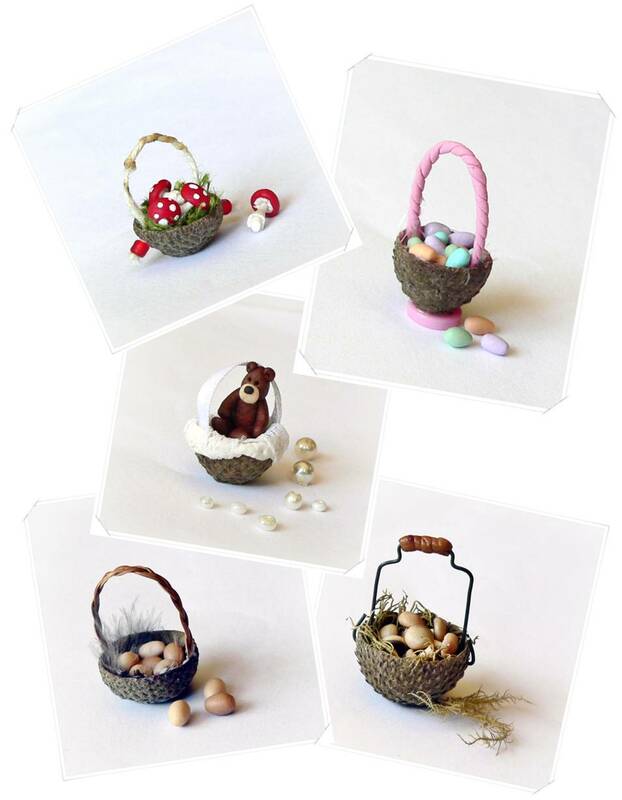 These tiny baskets are too cute, Megan, thanks for sharing! Thank you Ilona. I'm sure you could make one and fill it with flowers. What super cute baskets! I am saving this post for a future project. It is supposed to be spring here, but my heater is still coming on enough to remind me how cold it still is outside. I don't want to think how quickly fall will be here again! Enjoy yours - I am sure you are welcoming cooler weather! Thank you, Jodi! Yes, the cooler weather here is bliss. We never have much of spring. It goes from cold and dry to hot and dusty and windy, with rains only starting much later. But autumn always seems to linger and the days are beautiful. This is great! what a clever idea and such lovely baskets in the end. Wow, that is twice this morning I spelled your name wrong in a comment...I give up! More coffee! Big hug back Giac! I love the spelling variations, ha ha! Thanks for sharing this tutorial once more with us... one can never have enough baskets, especially when so cute and original as yours. Thank you Birgit. Maybe you can make a few for your little bears!